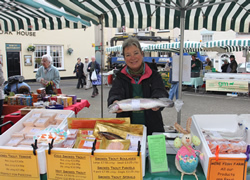 Fresh trout reared in spring water, also hot and cold smoked, roulades and terrines. This entry was posted in Axbridge, Fish, Frome. Bookmark the permalink. Both comments and trackbacks are currently closed.